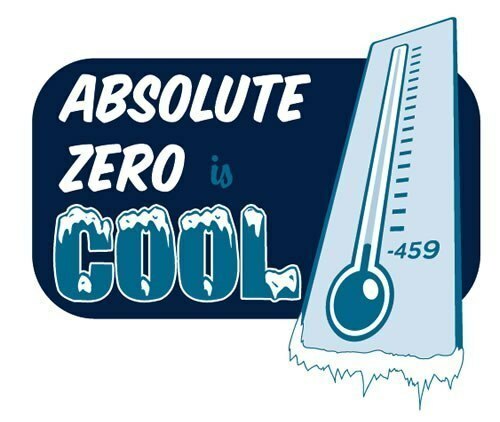 Facts about Absolute Zero 1: what is Absolute zero temperature? Can you define absolute zero temperature? It is used to call the temperature which has no heat energy left in a substance. Based on the quantum theory, the substance has the minimum energy so that it only has zero point energy. Robert Boyle was the known as the first person who discussed the possibility of the zero minimum temperature in a substance. Primum frigidum is a term from Robert Boyle associated with absolute zero temperature. The argument about it was explained in New Experiments and Observations in 1665. Many scientists talk about absolute zero temperature. Some people think that it could be found on earth. Some people consider that absolute zero energy is found in atmosphere or water. Lord Kelvin was the scientist who introduced absolute zero temperature in 1848. His scale is decided based on the laws of thermodynamics. It does not depend on the proprieties of a certain substance. 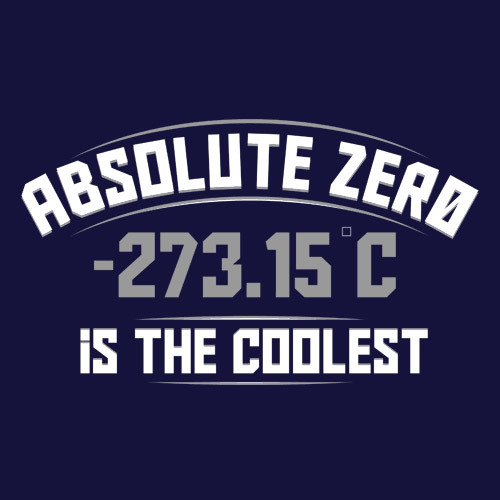 The zero scale for absolute zero is -273.15°C. If you have 373.15 K, it is equivalent with 100 degree Celsius. 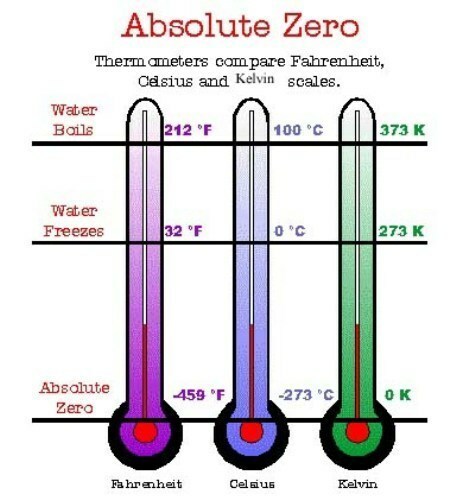 In the Kelvin scale, the absolute zero is 0 degree K.
Let’s compare the absolute zero temperature of 0 degree K with other scales of Celsius, Rankin, and Fahrenheit. 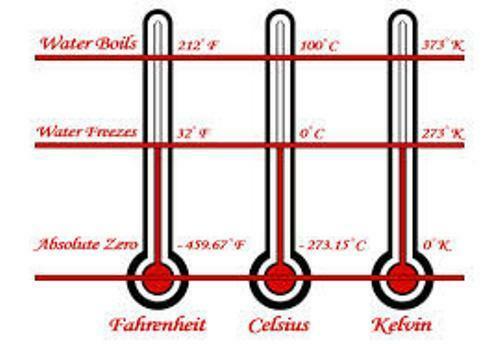 The absolute zero is equal with –459.67 °F on the Fahrenheit scale and 0 °R on the Rankin scale. Facts about Absolute Zero 8: is it possible to have absolute zero? Many scientists state that absolute zero temperature is only a theoretical temperature. It could not be achieved practically. When a substance has a very close temperature to absolute zero, it can give the unique effect on the substance. Some effects that you can learn include Bose-Einstein condensation, superfluidity and superconductivity. The lowest temperature ever recorded in the world was achieved by a cooled piece of rhodium at 100 Pico Kelvin. 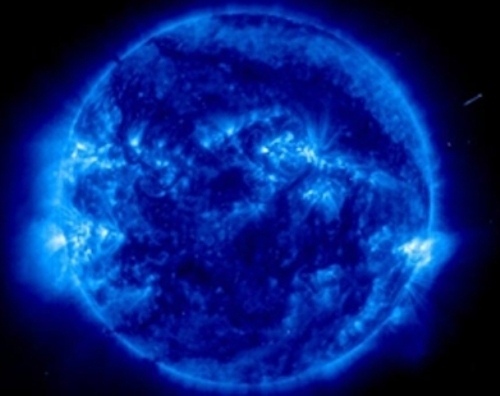 Do you want to comment on facts about absolute zero?